You can always count on a logoed pen to spread your message! 7 color(s) to choose from! This plastic pen has a matte silver barrel that's complemented by shiny silver trim and bright-colored accents. They can carry this plastic retractable pen in an organizer pocket, a shirt chest pocket, a briefcase or a purse. 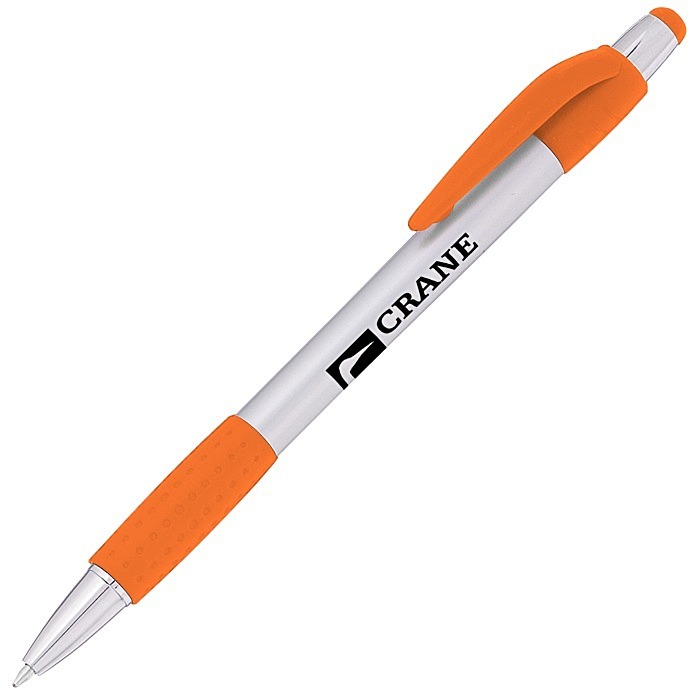 Dimpled rubber grip provides for writing precision and comfort. If you need this pen in a hurry, see item #9630-SIL-24HRKrypton Pen - Silver - 24 hr for our 24HR service. For other Krypton pen color options, see item #9630Krypton Pen for standard shipping and #9630-24HRKrypton Pen - 24 hr for 24HR service. Medium-point black ink is standard, blue pen has optional blue ink. 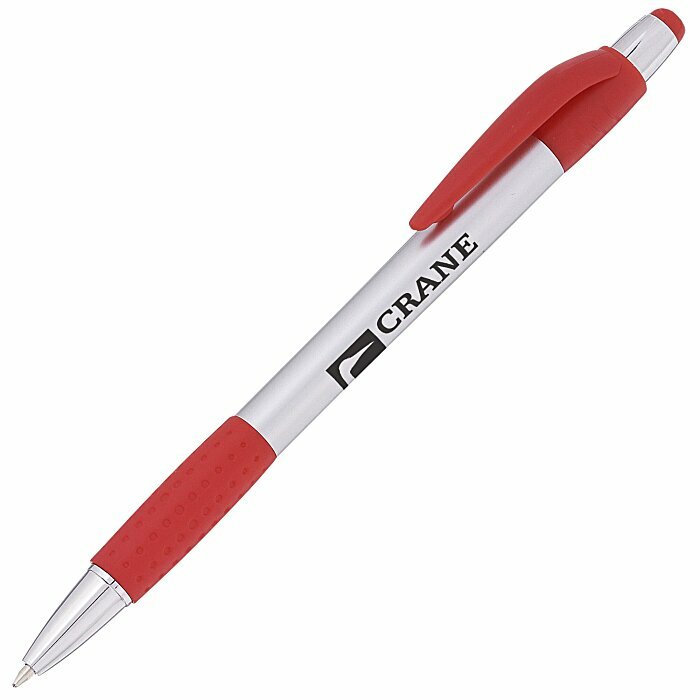 Your price includes a one-color imprint on the pen barrel.